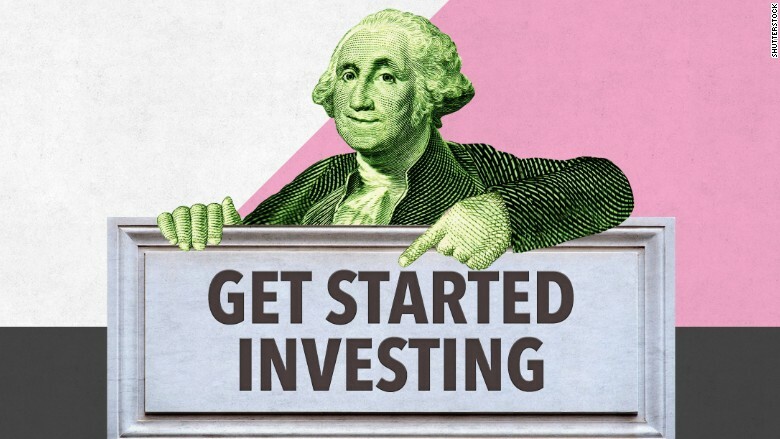 Investing is the time-tested way to grow your money tree. About half of Americans have their money -- in one form or another -- in the markets. Millennials, especially, could benefit from jumping in now. Getting started with anything can be daunting. You want to make sure you think about whether you'll need that $1,000 in the next year or two or whether you can really invest it for the long-term (think over a decade). It's important to have a wide range of investments -- don't put your pennies all in one jar. Do your homework on stocks or funds. Look at a couple of basic yardsticks (including fees) -- it's not too much math. And relax: invest for the long-term. Don't panic when the markets go crazy in a day. Pick wisely: When you pick your fantasy football team, you never choose a bunch of players on the same NFL team. If the real team loses, you'll have a terrible week in your fantasy league. The same thinking goes with investing. Don't place all your bets on one horse. "Diversification is the cheapest form of risk management," says David O'Malley, CEO of Penn Mutual Asset Management. Some popular investments are funds that track an index or an industry sector such as health care or technology. One of the biggest funds is the SPDR (think Spider) S&P 500 ETF. As you can guess, it just tracks the S&P 500, meaning you get exposure to 500 of America's biggest publicly traded companies. Plus, the minimum investment is only about $210. "I would highly urge [new investors] to invest in funds," says James Abate, managing director at Centre Asset Management. Stock funds tend to do better over time than bond funds, although stocks have bigger swings up and down than bonds, so you need to ask yourself if you would be OK with a really rough year. If not, consider a popular bond fund such as PIMCO's Total Return fund (PTTAX). (Note the minimum investment for this fund is $1,000). Watch the fees: The main thing to watch out for with funds is fees. SPDR's fee is only 0.09% a year -- an extremely low fee. Another popular option is Vanguard's Total Stock Market Index Fund (VTSMX), which tracks an even boarder range of U.S. stocks than just the S&P 500. Vanguard's fund is also way up and charges investors a 0.17% fee, although the downside is it requires a minimum investment of $3,000. The cheapest funds just track a set index. When you see fees over 0.5%, it's typically because the fund has a manager who actually buys and sells stocks. The idea is that active managers should have the skill to beat the market, but that's proven very hard to do. Another simple gauge is to look for company's that are "beating" the market -- meaning the stock is going up faster than the S&P 500 over the past month or year, experts say. Right now the S&P 500 is up 1.6% this year and 14% over the past 12 months. "Start with better-than-average companies for your average Joe," says Ernie Cecilia, chief investment officer at Bryn Mawr Trust. Is the juice worth the squeeze? : Understanding a company's value can be overwhelming. If you want to buy individual stocks, like Tesla (TSLA) or GE (GE), start by understanding what the company does and checking its revenues. 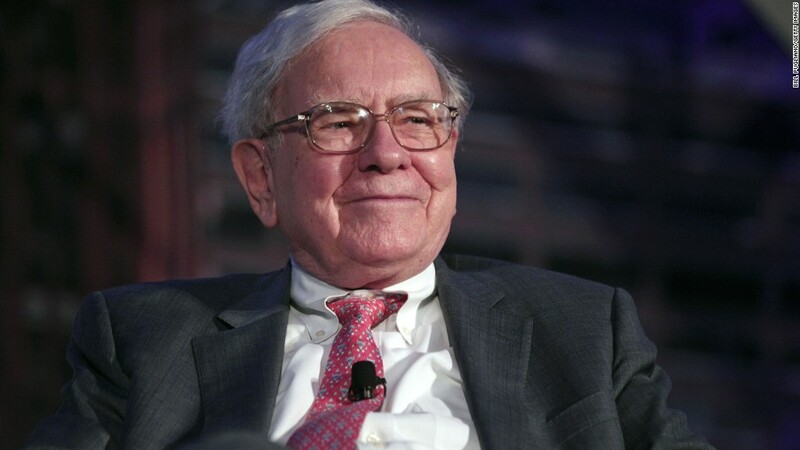 Justin Brosseau, a 23-year old investor used Buffett's "buy what you know" principle to make about a 250% profit on the first four stocks he bought. His very first purchase was United Airlines (UAL). Why? "Whenever I went on a family vacation, we always flew American or United," says Brosseau. He did a little more homework and decided on United. That extra homework should include a company's revenue -- sometimes called sales. It's how much money the company makes in the last three months or year. Companies can manipulate other numbers in their earnings statement, but revenue is a lot harder to alter. Compare the company's revenue from the first quarter of this year to the first quarter of last year -- an apples-to-apples comparison. Is it growing? You can also check out a company's past performance and forecasts CNNMoney's stock pages. Here's the page for Apple. Go read a book: Once you establish your goals and make diverse investments, chill out. New investors should NOT look at the markets everyday, experts emphasize. It's unhealthy and could cause beginners to panic over a bad day or two. If you're investing for the long haul, which many recommend, you should check out your investments occasionally, not daily. "Read a history book and don't look at the prices of anything you own -- I'm not kidding," says Abate.